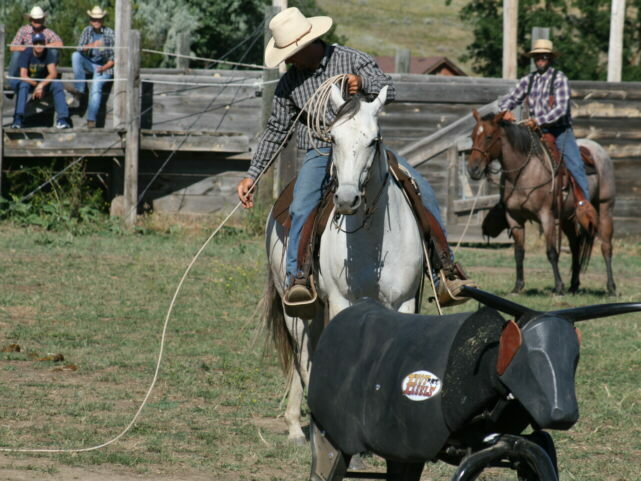 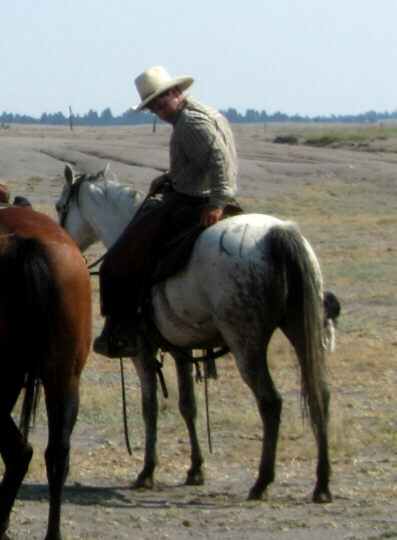 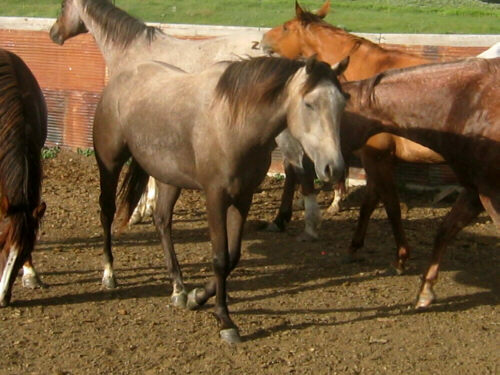 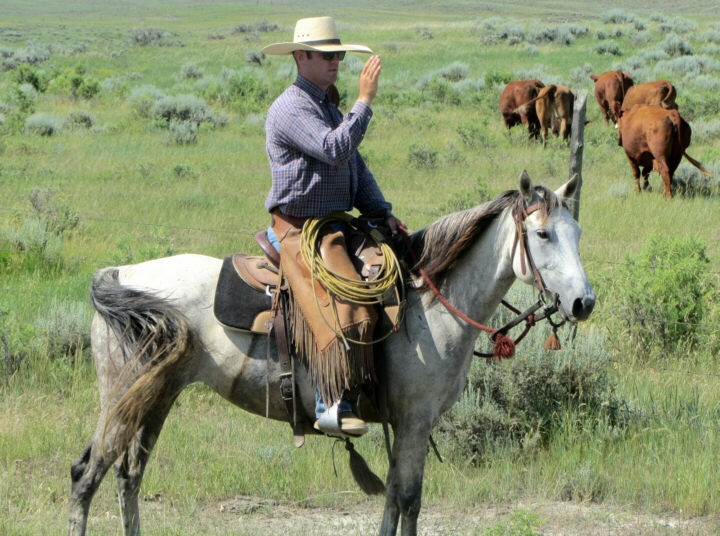 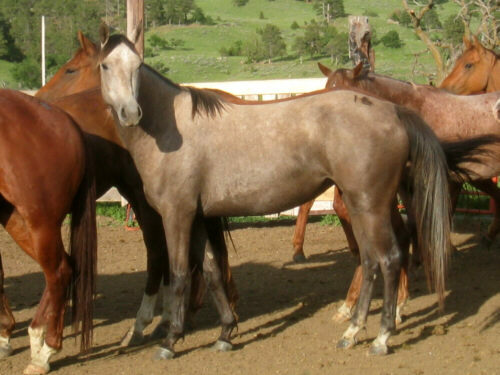 12 year old gray mare (born buckskin colored), sire AQHA (Watch Two Twelve), dam Arabian. 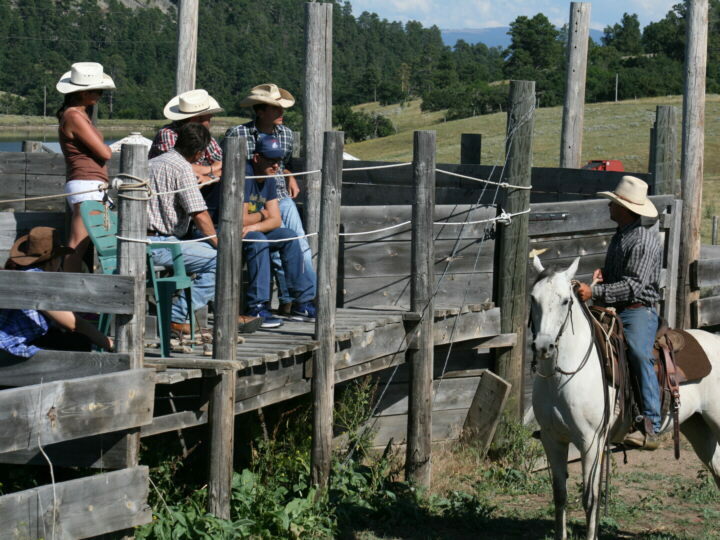 Born and raised at the ranch. 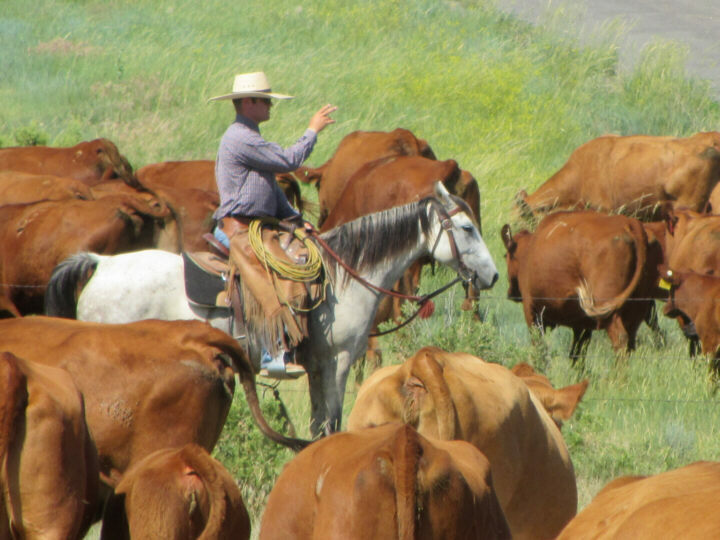 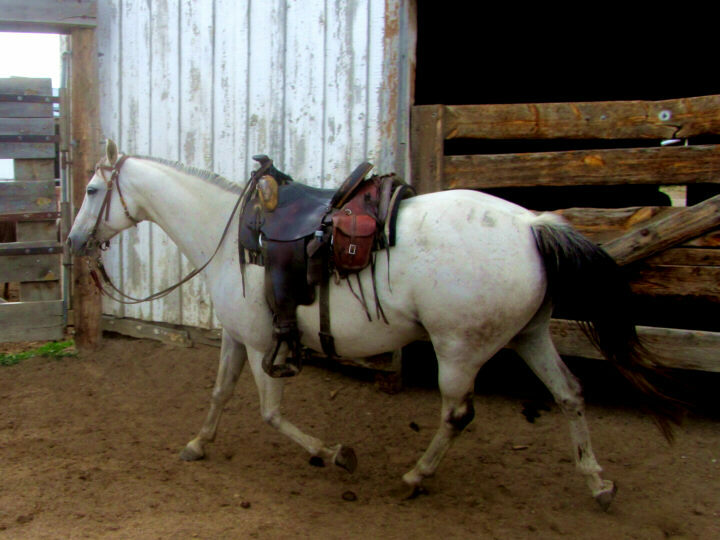 She's been on the back burner for a long time, and when we finally started riding her she's been cowboyed on quite a bit, making her a bit anxious. 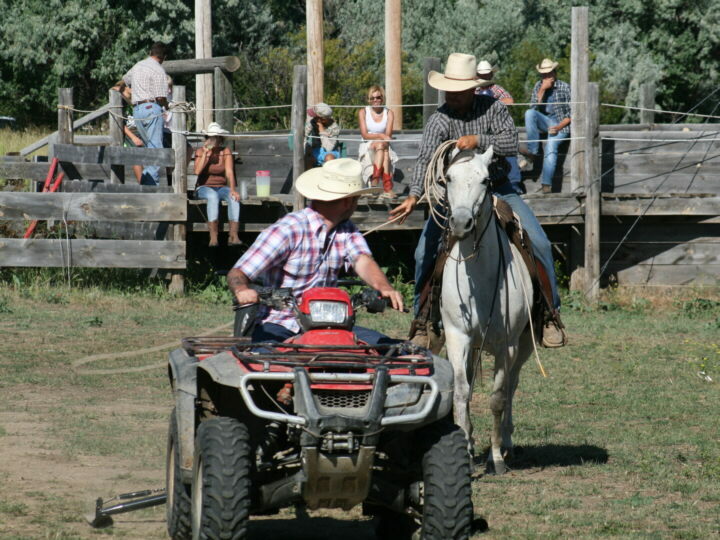 She's broke, knows how to travel in rough country, been behind cows (and watches them), and has roped a mechanical roping dummy. 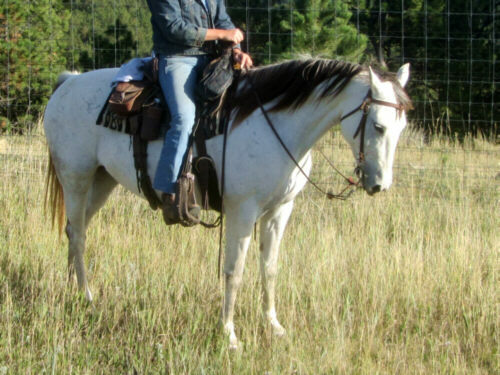 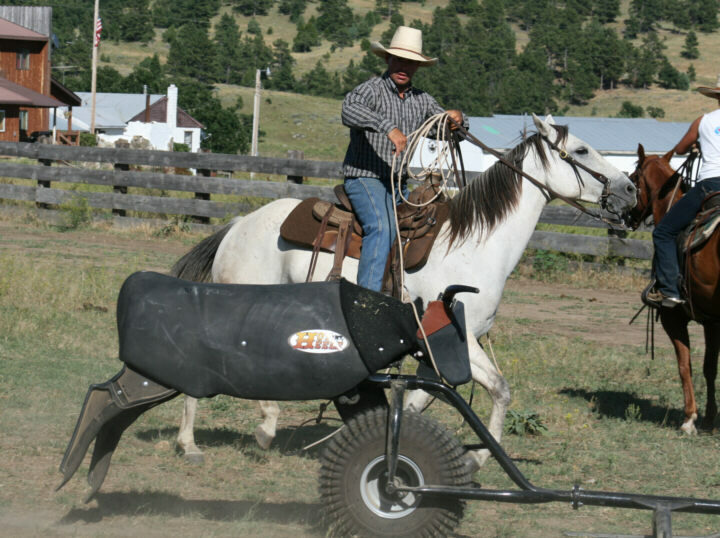 She has no buck, but she is very quick and would not be suitable for a novice rider. 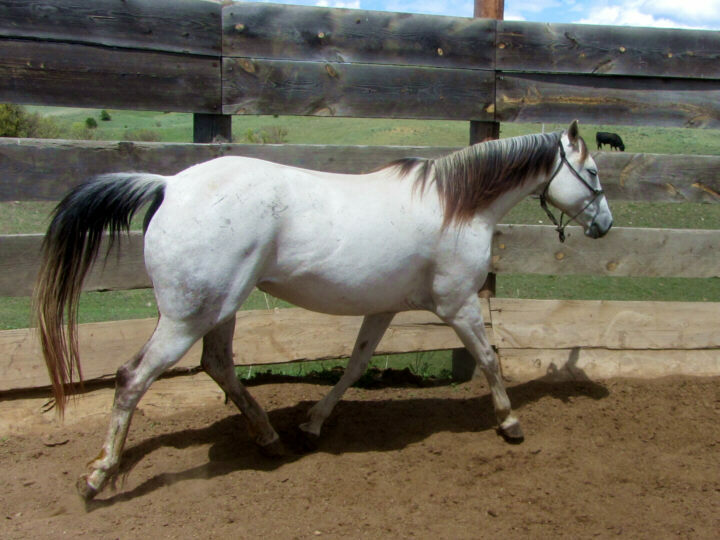 She is NOT a kids or beginner horse and we will not sell her into inexperienced hands.
. Color changes: Sheila this year (2016) and 10 years ago as a 2year old.